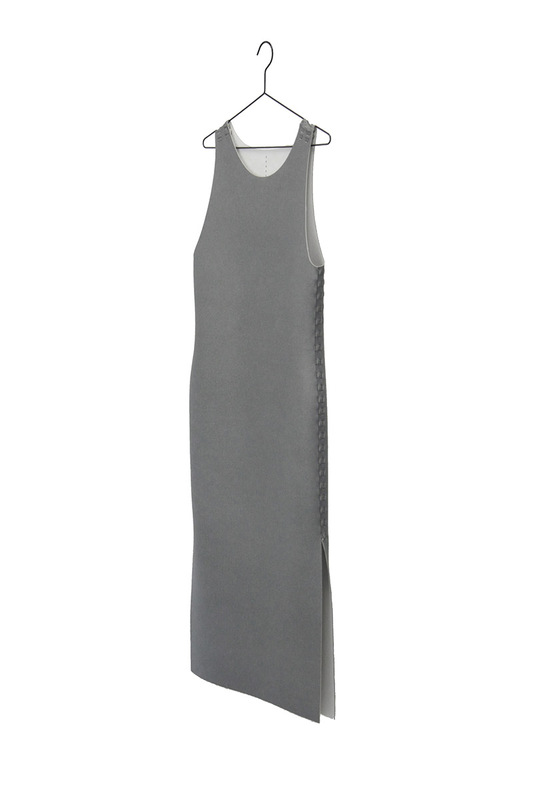 This minimalist sleeveless dress is designed by The Post-Couture Collective as part of the world’s first downloadable garment collection. The archetypical shape is inspired by architecture, and features an innovative construction technique that eliminates the need to use a sewing machine to put it together. It has an adjustable side seam, that can be opened and closed to your preference. This download contains the digital design file for this garment in sizes: XS - S - M - L, a measurement table to help you pick the right size, assembly instructions and tips & tricks for lasercutting. For this design you need a lasercutter that has a cutting surface of at least 550 x 1200 mm / 21,7” x 47,3”. We encourage you to find your own materials and experiment with them to find your personal style. We have excellent experience with the materials you can find on our DIY PAGE. 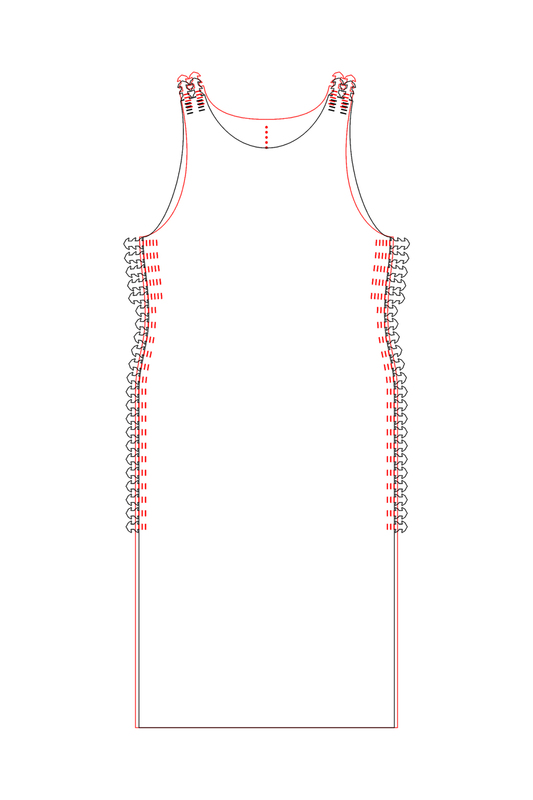 With this digital design file you can always re-make this garment in your local Makerspace, from any material you like and re-assemble your garment in any colour or material configuration. For help with the right laser-settings please ask the instructors at your facility. To purchase this garment as an already cut construction-kit, please visit our SHOP.